Can anyone help me identify this MCU? 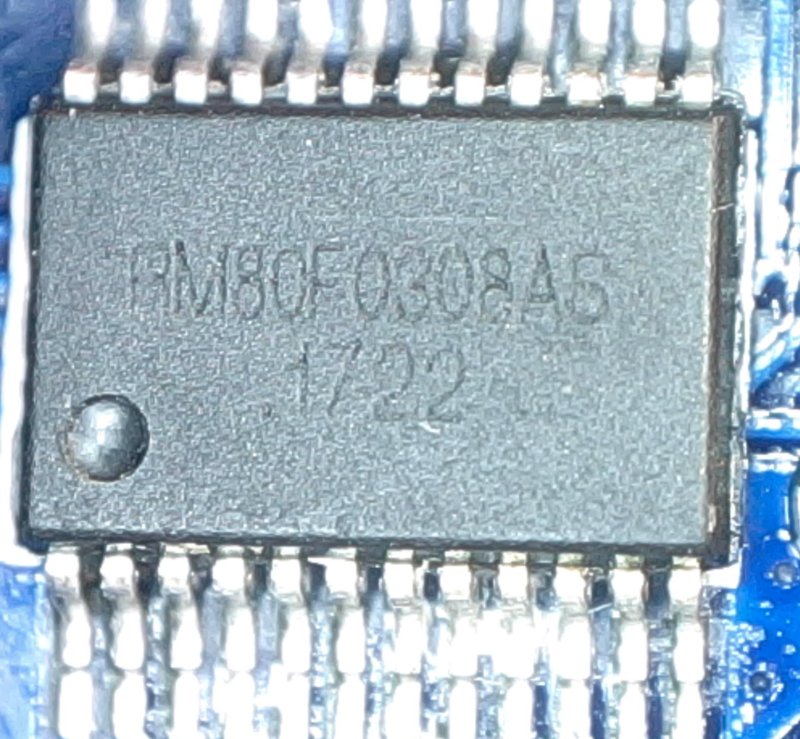 It seems to have a very similar pin out to the MC80F1608 from ABOV Semiconductor. What I really want to do is find the correct compiler and in-circuit programmer for it, so I can re-program the device. Errr, what happens if you click on the 'development tools' tab on the page you linked to? Aye, but I'm not 100% sure if that is the same device, or even the same family. Hence I was reaching out to see if anyone can positively identify the device. Well there are MC80F0308 but they are 28 or 32 pin packages. It is obviously a new device 17 week 22 so what is the board that it sits on? what is the board that it sits on? and how do you know that it even is a microcontroller ? I wouldn't pay too much attention to the prefix. ABOV started life as Hyundai with that chip family first appearing in 1996. In 2001 they became Hynix, in 2004 they became Magnachip and ABOV in 2006. It definitely is an MCU, and unfortunately I cannot say anything about the board that it sits on at the moment. It is from a pre-production prototype run. The functions this controller controls are a little buggy, and the code will be fixed in the production run, but I'd like to re-program the prototypes. I did not design the board, nor did I spec the MCU, but I do have to make them work.